Three decades ago a race of humanoid aliens landed on Earth. 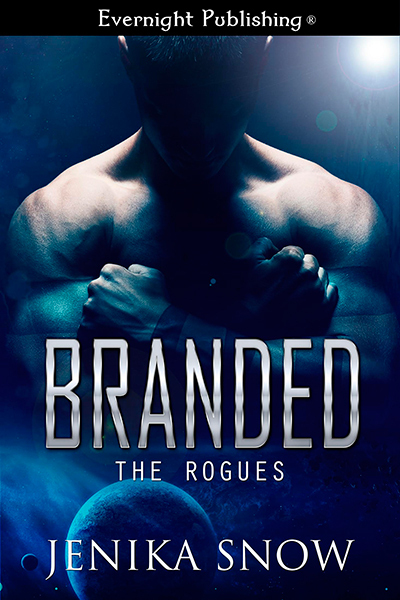 Humans were inferior, weaker, and no match for the stronger, warrior-bred beings known only as Rogues. Now the Rogues rule Earth. Greta is a human and in hiding. When she and the other humans are found, she fears she will be used for labor, or as breeding stock. Tolcan is enforcer for his kind. When he finds humans his job is to capture them. But he takes an interest in one particular female. Going against what his kind believes, he takes her as his own. Something primal and possessive in him takes over. He wants her as his mate. He won’t stop until he’s claimed her, damn the consequences.